Two spots from TBWA\Chiat\Day, one for Gatorade and one for Nissan, scored Emmy nominations for best commercial. Plus, David Droga spoke to Adweek about the video war between Facebook and YouTube. Droga5 founder David Droga spoke to Adweek about the growing competition between Facebook and YouTube and what agencies need to know about video. The newly reappointed CEO of Reddit announced Thursday afternoon that the site is considering banning content that "harasses, bullies or abuses." A creative team out of the U.K. wants to take an agency's lion on a trip from the U.K. to New York City, where they will treat it to a legendary trip in exchange for a placement or portfolio critique. TBWA\Chiat\Day has two spots nominated for an Emmy for best commercial. 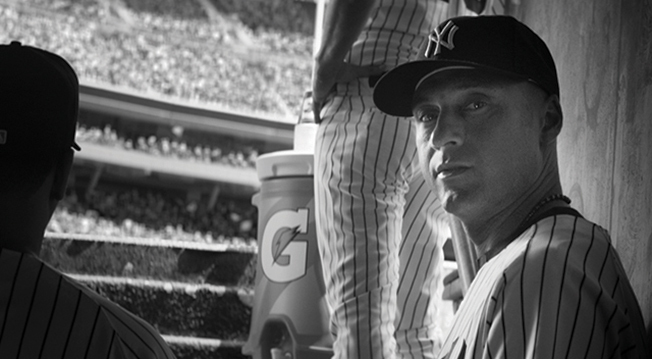 The agency's "Made in NY" spot for Gatorade and "With Dad" spot for Nissan are up for the award. Google's second quarter earnings report revealed that YouTube's top advertisers increased ad spend by 60 percent. A handful of brands, including MTV and iHeartRadio, have turned to Facebook to run live Facebook chats using the social platform BumeBox.